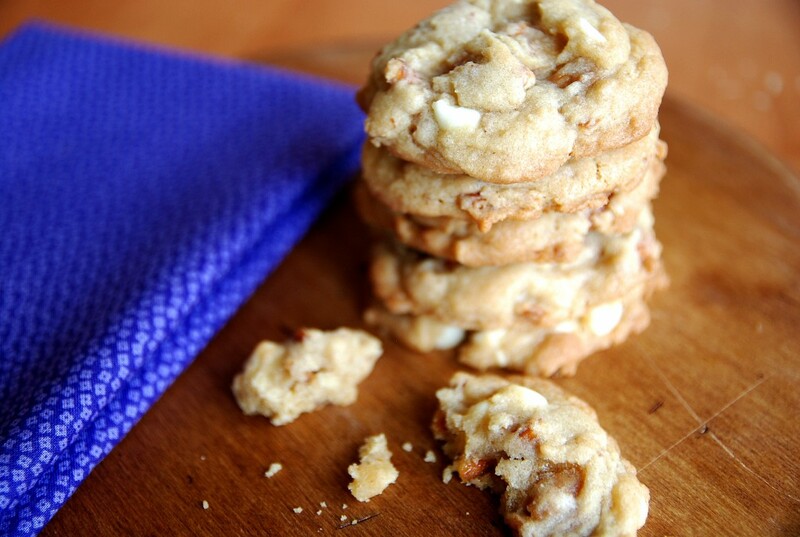 Looking for a bakery-style cookie that’s just a little fancier than chocolate chip — but just as easy? Voila. 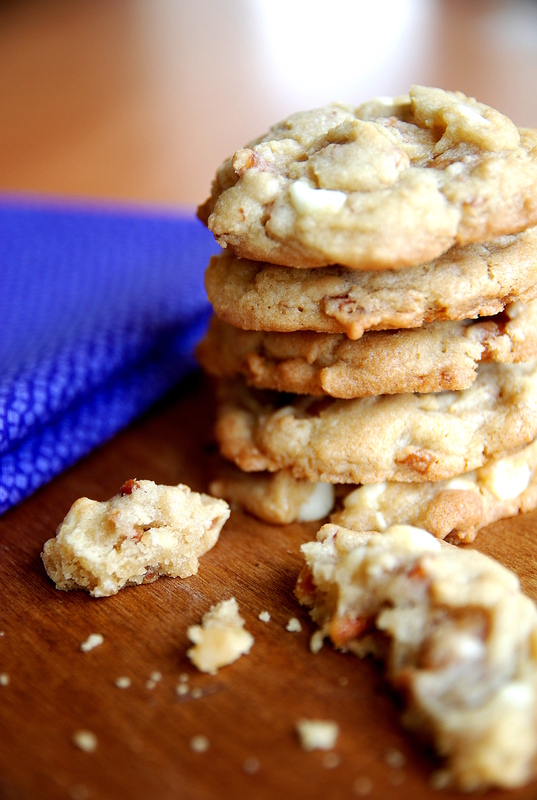 Something about the marriage of these three ingredients — white chocolate, caramel and pretzel — makes these so much better than the average cookie. Salty and sweet. Crunchy and soft. Just a whole bunch of opposites all paired together in one perfect bite. You know what they say? Opposites attract. Make these. Fold in broken pretzels, caramel bits, an chocolate chips. Chill for at least an hour. Spoon by rounded tablespoonfulls onto a baking sheet with parchment paper or silpat liners (this is important because the caramel is sticky). Bake at 350 for 10-12 minutes.